Just released this week, Final Fantasy XV, the latest game of the franchise . As a fan of the franchise, I digitally pre-ordered a copy on my Playstation 4. I have enjoyed playing Final Fantasy VI, VII, VIII, IX and XII. Only had little time playing X and X-2, but still was enjoyable and I didn't get around playing XIII. As for XIV, I never really liked the idea of paying monthly just to play the game. The game has really evolved and yet you can still feel the iconic features of the franchise. Yes, the battle system has improved and it's an open-world game. However, you still get those old school tidbits like the iconic victory song / fanfare, chocobos, and Cid, a recurring name in the Final Fantasy world. The last Final Fantasy game I've played was FFXII. So, I was quite amazed on how the game has evolved. 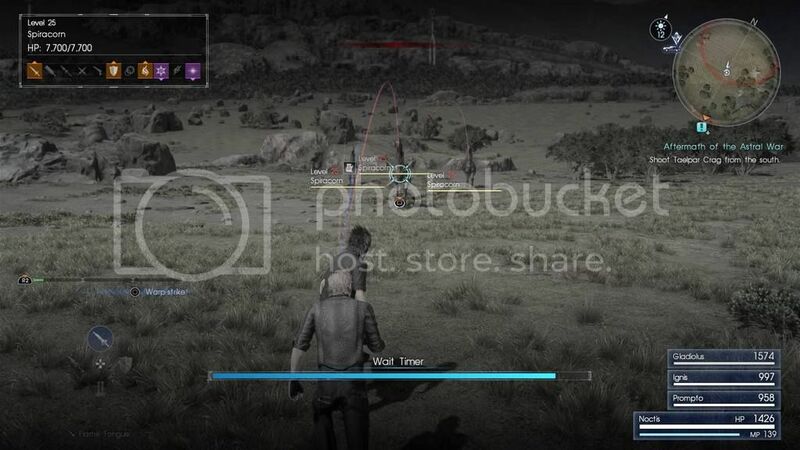 In FFXV, the most noticeable, to me, is the battle system. It's freakin' action packed!!! Unlike it's predecessors, you can actually feel the intensity of the battle. Ever since I've played FFXII, I was impressed on that game's battle system. A step-away from the classic turn-based battle. But in FFXV, they've upped the ante. It's so intense that sometimes, I get lost on who I'm targeting or hitting. The second thing I've noticed is that, there is no longer a save point. The classic Final Fantasy games had different save points such as a moogle, in Final Fantasy IX or a crystal, in Final Fantasy XII. 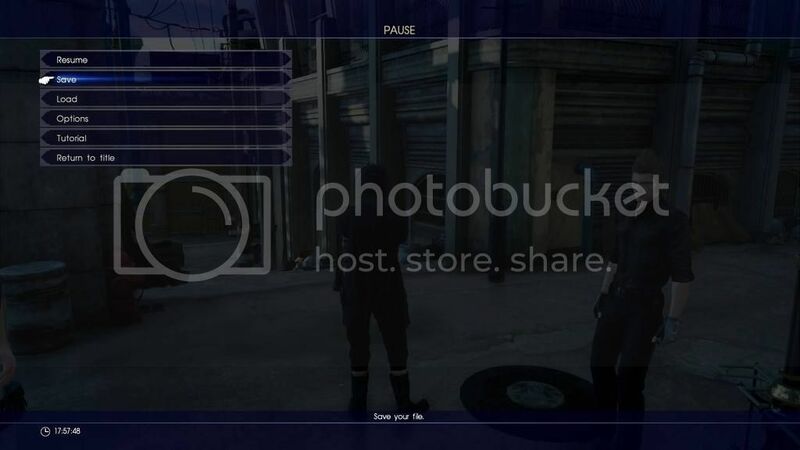 In Final Fantasy XV, you can hit the options menu and save, however, when you're in a major quest or in a battle, the save option is disabled. Oh, the game also has auto save feature, but I would highly suggest manually saving as to supplement the auto saves. When I first reached the Galdin Quay docks, the sea was black. I searched for it online and found that a few have experienced this. A quick work-around: Save and Reload. I'm still a few hours in so I can't really say much about the game and I wouldn't want to spoil the story. Anyway, have you gotten on the Final Fantasy XV hype train?